January 29 is National Carnation Day, and at ISLAND PACIFIC ACADEMY it is also Kindness Carnation Day. 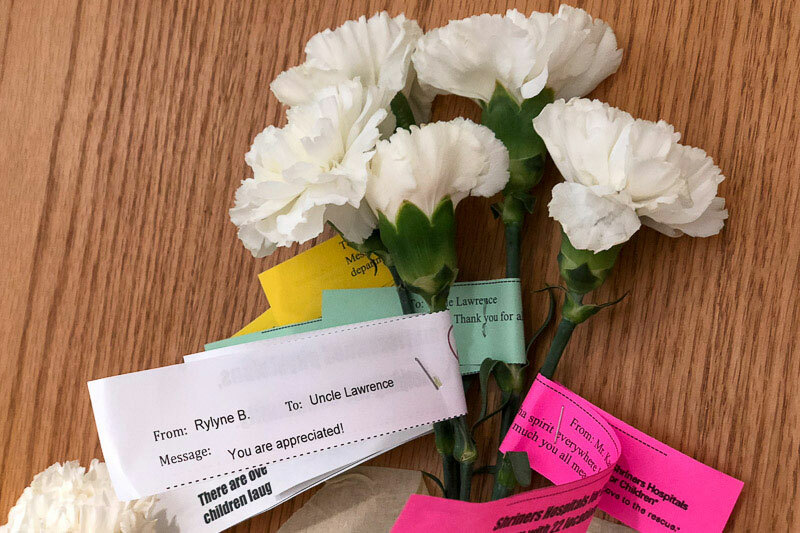 This year, more than 2000 single white carnations with personal messages of gratitude and appreciation were delivered to IPA students, faculty, and staff. 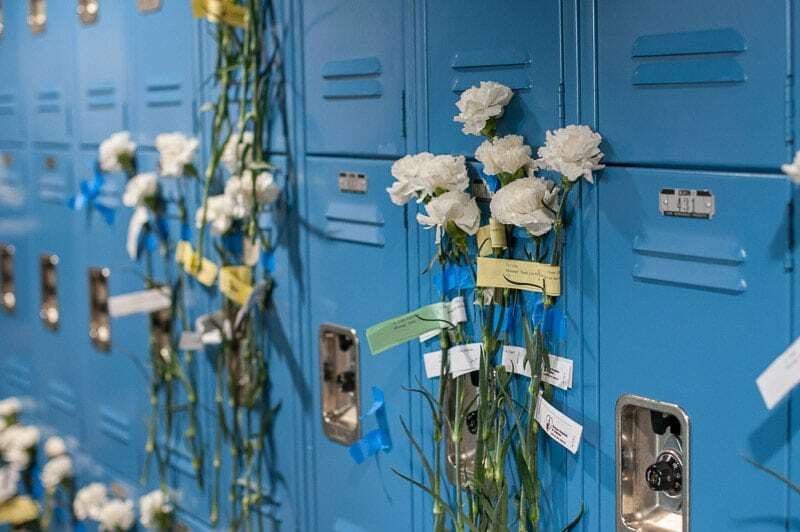 Carnations were taped to student lockers, left on office desks, and taped to office doors throughout the campus bringing smiles to the recipients. Kindness Carnations is an annual IPA National Honor Society (NHS) service project involving all NHS members. 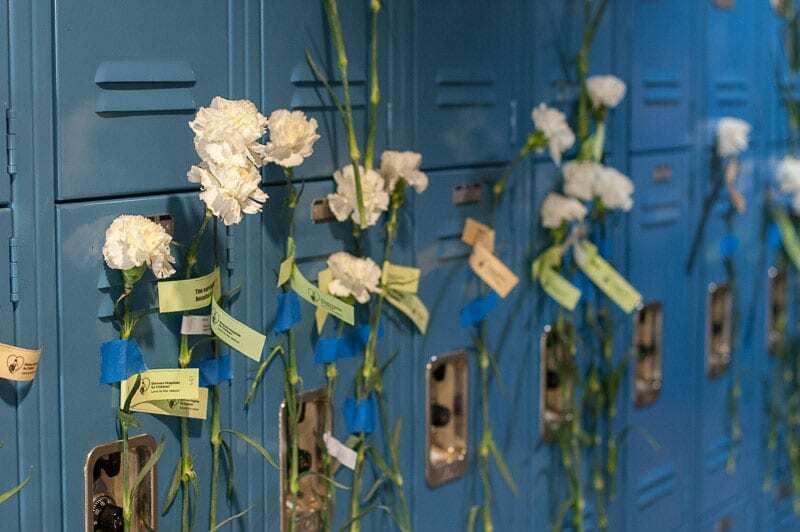 The purpose of the project is to share words of kindness and gratitude throughout the school, and the white carnations symbolize pure love and good luck. In the weeks leading up to Kindness Carnation Day, students, faculty and staff place their orders for carnations, and include personalized messages to each of their recipients, to be delivered on Kindness Carnation Day. The night before, all NHS members gather on campus to help with tagging and delivering the many carnations. The project spreads kindness across ISLAND PACIFIC ACADEMY and into the community as the profits from the carnation sales are donated to the Shriners Hospital for Children in Honolulu. The NHS students conclude the Kindness Carnation project with a visit to Shriners in March, where they present their donation to the hospital and get to spend some time with the children there.